A truly precise, immersive sound. During one of my jobs in the home theater industry I was told something that’s kind of stuck with me over all these years. This has stuck with me for many reasons, and it makes sense. Sound has the capability to excite, scare, and make you feel in ways video can’t. It has the potential to make a scene sad, happy, or anxious with the drop of a hat. This is why it makes me wonder when people would buy a massive, expensive television and then get a cheap sound bar or even nothing at all. To me sound is more important in ways video can never be, simply because one of my two passions in life is music. I’ve gone through many different sound systems over the years, starting with my first surround system back in 2007. This is now my 5th set, and I feel it’s going to remain in my home for a very long time. My Martin Logan experience began with the subwoofer. I have a very hard time with bass because it never feels like it’s enough. Even though I rarely get to enjoy the full potential of my gear, I like to have the capability to for when those times come. I previously had the Energy PS500B, which was a 5.0 set. It was great because it allowed the custom option of adding in your own sub. This brought in a lot of research to find my specific style and sound that I was looking for. I ended up going with the Martin Logan Dynamo 500. It produced a clear, full range sound. The only problem was that even in the 12×14 room I was in, it didn’t feel like it was enough. A few months later an opportunity was presented to me to get the Dynamo 1000w – and I took it. Even though I was only going up 2″ in driver size, the Dynamo 1000w puts out over 4x the RMS wattage. After owning it for just over a year and a half now, I’ve never really had it above 65% gain. I ended up having an issue where at higher gain levels, once the volume was turned up it would greatly overpower the speakers. The times I’ve had it at 70-75% gain volume, pictures have fallen off the walls. It’s still never “too much”, simply because it provides such a clear and responsive full range sound. I’ve really come to appreciate the true value of this kind of quality. The receiver I currently have – Yamaha RX-V673 – is capable of having a .2 set up, so I am looking to expand to another 1000w in the near future. I had the privilege of being able to borrow a Dynamo 500 to test out how the .2 sounds, and it’s a whole new experience. I have my main Dynamo 1000w behind my couch, and the second one went at the front of the set up on the right side in an angled corner wall. During playback the 1000w greatly overpowered the Dynamo 500, so it’ll make a huge difference once the two subs are matching models. One common piece of information left out during the surround system purchasing decision is a good center channel. Most, if not all dialogue is sent to the center. If you’ve ever had trouble in movies where you cannot hear people speaking – yet explosions and action sequences are extremely loud, it’s because of a lower quality center. I was originally going to get the Martin Logan Motion 8 center channel in the original package I had put together, but when it came time to purchase another option was presented to me. The Electromotion C2 was only a couple hundred more, and so I took it. This center channel is actually part of a whole different model line of products from the fronts and rears I had bought. It features 2x 5.25″ drivers and a Folded Motion XT Tweeter for a crystal clear range of high frequencies. It’s also angled upwards so if placed under the television on a stand it projects the sound towards your natural ear level. I’ve lowered it by 2db because I found it a little over powering compared to my fronts. Even though the Motion 8 is an incredible center, it was well worth it to go up to the C2. Speakers that make their presence felt. The Motion 40’s that are being used as front speakers for this set up are my favourite part of the whole package. They stand just under 43″ high and weight 50lbs each. 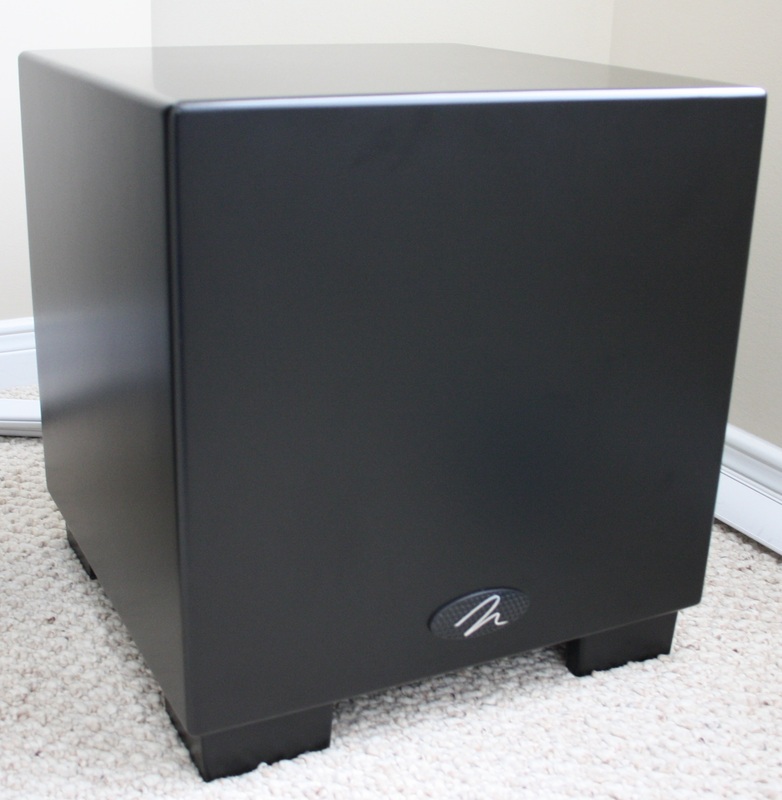 A metal grill covers two 6.5″ low frequency drivers, one 5.25″ mid driver, and a 1.4″ Folded Motion tweeter. All wrapped up in a glossy piano black finish, these speakers push out an incredible amount of sound. The Motion 40’s are my first front speakers that have bi-amp capability, which worked out great as my receiver supports a 5.1 bi-amp configuration. 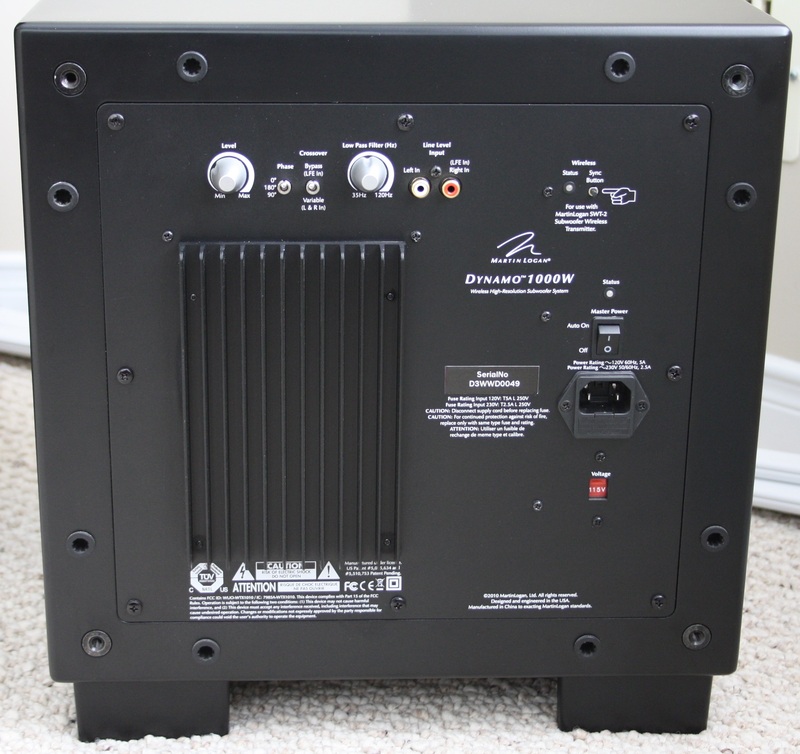 Bi-amp is a term that refers to having 2 sets of binding posts (where the speaker wire connects), and you’re able to attach two sets of speaker wire back to the receiver. It essentially gives double the wattage to the speaker – one channel to power the lows, and the other channel for the highs. This gives high-end speakers the ability to have as much power as possible to create an amazing full range of sound. And what a sound they produce. The highest I’ve had my receiver with this set connected is -5db, and they don’t even break a sweat. There is no distortion whatsoever at peak volumes. I have a full FLAC music collection that I enjoy on this system. Most content ranges between 900-1300kbps bit rate, and its virtually uncompressed. Compared to MP3 formats which range around 128-320kbps, it’s about 5x the quality difference. The higher the bit rate, the greater the spectrum of sound you’re given. Compressed audio shortens the range of sound you’re given, so everything eventually begins to sound flat and then gets extremely distorted at higher levels. A system that specializes in all the little details. Surround speakers aren’t as important as the front 3, but they assist in providing the complete experience in home theater. From ambient sounds like wind and traffic all the way to footsteps in Call of Duty, surround speakers truly give surround sound the meaning of its title. The Motion 4’s are powerful enough to be used as front speakers in smaller setups, but they fit the role perfectly as my surrounds. I have them a little closer than my previous set, and since they’re more powerful I had to decrease the volume by 2db as they were too overpowering at normal volume. I am extremely grateful to own this set, and have completely changed my view on the quality of sound that speakers can produce. Judging by how these can easily fill the 16×20′ room they’re in right now, I can’t see myself needing more than what these can provide. The only upgrade I’d like to make is to add a second Dynamo 1000w, which will probably be within the next 4-6 months. This Martin Logan set are by far, the best speakers I’ve ever owned and will continue to be enjoyed for many years to come.